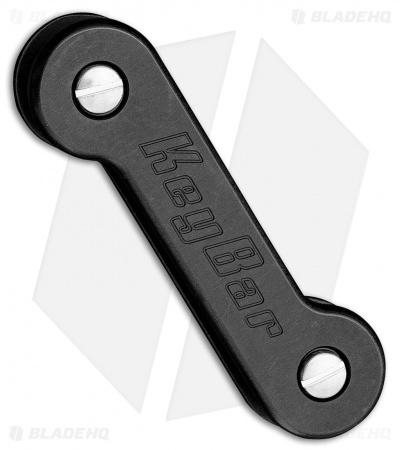 KEY-BAR is a simple, neat way to organize your keys. Capable of storing up to 15 keys, the KEY-BAR is noise-free, de-clutters your pocket, and virtually guarantees your keys will never stab you while in your pocket again. The KEY-BAR is outfitted with O-rings to keep the tension on the keys just as tight as you want it. 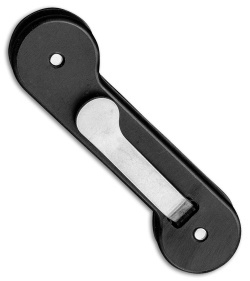 Included is a key fob link, great for adding car keys, etc. This KEY-BAR has a black aluminum handle and includes a removable titanium pocket clip.